The executive teams behind the $1.42 billion acquisition of AirTran by Southwest and the new United Airlines share a common desire for their revamped ventures: road warriors. The tumultuous U.S. airline industry is consolidating. Southwest Airlines on Monday boosted its position as a low-cost powerhouse by acquiring AirTran for $1.42 billion. The deal will let Southwest enter 37 new cities, including Atlanta, and expand quickly in New York and Boston, all markets that are important to business travelers. "We're trying to get more customers in Chicago and more business customers in particular," said Southwest CEO Gary Kelly, "and if we don't serve their destination needs, we won't get them." Airlines covet business travelers because they travel frequently and often pay more for their seats, which they often buy at the last minute. Southwest — which currently serves key cities such as Dallas, Chicago, Denver, Phoenix and Baltimore — has long been considered a vacationer's airline. But it has lured corporate road warriors with offers like Business Select fares that cost more but promise priority boarding, extra frequent-flier credit and a free drink. The Southwest-AirTran deal is the second notable airline merger announcement this year. On Sept. 17, shareholders approved a deal to combine United Airlines and Continental Airlines. The new airline will have United’s name and Continental’s logo, and will become the world’s largest air carrier. But George Hobica, president of Airfarewatchdog.com, believes that any airfare increases will be minor. “If airlines raise fares too much, people stay home, drive, or take the Bolt Bus,” he said. In welcome news for weary travelers, Dallas-based Southwest said it will drop AirTran's bag fees when the pair combine in 2012. Right now, Orlando-Fla.-based AirTran charges $20 for the first checked bag, $25 for the second. However, the combined airline probably won't be large enough to pressure big competitors like United and American to give up the hundreds of millions of dollars a year they make from baggage fees, airline analyst Joy Sorenson said. 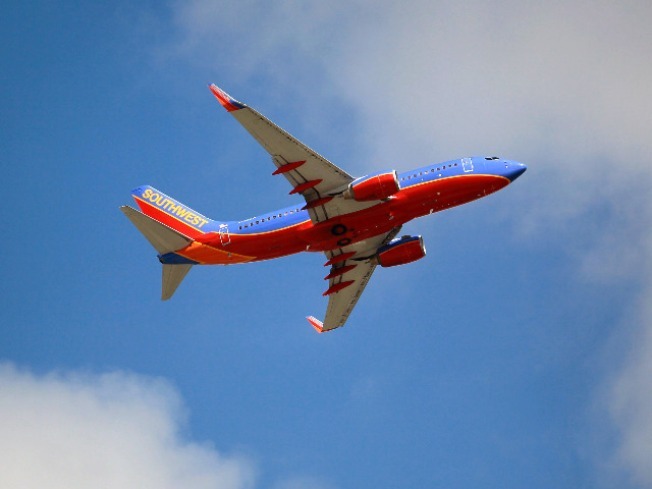 Even with its purchase of AirTran, Southwest will remain the nation’s No. 4 carrier by traffic. The acquisition better positions Southwest — which carries more passengers than any other airline in the U.S. — to go head-to-head with Atlanta-based Delta Air Lines, which bought Northwest Airlines in 2008. The purchase of AirTran also will give Southwest an international presence. AirTran currently has routes to Mexico and the Caribbean, where discount airline JetBlue Airways has a big presence. The deal between United and Continental, which closes Oct. 1, is expected to have a larger impact on global air travel, although the new airline also expected to compete with low-cost carriers on about three-fourths of its U.S. routes. The new United Airlines will serve 370 cities in 59 countries, with 10 hubs in the U.S. and overseas. The carrier is counting on more business travelers — not higher fares for vacationers — to make the $3 billion merger pay. William Swelbar, a research engineer at the International Center for Air Transportation at the Massachusetts Institute of Technology in Cambridge, Mass., expects the new United to continue to offer three classes of service, including first class, on trans-Pacific routes, to remain competitive with top trans-Pacific carriers like Singapore Airlines and Cathay Pacific, world-famous for the quality of their premium in-flight products. However, Darrin Lee, a principal at LECG, a Cambridge, Mass.-based consulting firm, predicted Continental’s BusinessFirst international service “will converge to a true first class. United wants to be competitive with global airlines that offer a true first class.” And he said United’s economy plus service — which he said has been “quite successful” — ultimately will be offered on the new airline’s entire fleet. “Fliers really like economy plus,” he said, adding that the service also provides a way for United to distinguish its in-flight product from those of other legacy carriers. To win government approval of the merger, United and Continental had to promise the Ohio Attorney General that the new United would maintain at least 90 percent of Continental’s Cleveland hub for at least two years; Continental also agreed to lease 18 pairs of slots at Newark Liberty International Airport to Southwest Airlines to address competition concerns there. A member of the Star Alliance, as now are United and Continental, the new United will begin offering a unified reservation system, flight check-in, website and frequent flier program on an unspecified date next spring. Jarrod Wilson, a field engineer for ATCi Engineering in Chandler, Ariz., and a One Pass platinum participant who flies more 100,000 miles annually on Continental, said he is worried his “higher status will be watered down a bit by the extra volume” of members, once the two loyalty programs are combined. Currently always upgraded by Continental from coach to first class on domestic flights, he expressed concern he would “not get preferential treatment as much” after the merger.